A senator representing Delta Central Senatorial district has been suspended by the Senate over his comments concerning the Electoral Act 2010. The Senate has suspended Senator Ovie Omo-Agege for 90 days over his comment that the amendment to the Electoral Act 2010 to reorder the sequence of polls in a general election was targeted at President Muhammadu Buhari, according to a report by Punch. The suspension was slammed on him after the Senate Committee on Ethics, Privileges and Public Petitions had investigated Omo-Agege’s comment based on a petition by Senator Dino Melaye. The report by the committee, which was considered at the plenary on Thursday, had found the lawmaker guilty despite his apology to the chamber and recommended that he be suspended for 181 legislative days (one year). President of the Senate, Bukola Saraki, however, pleaded that the duration of the suspension be reduced to 90 days (six months), which was unanimously granted. The Senate also resolved that Omo-Agege should withdraw a case he instituted against the chamber, while asking that the pro-Buhari ‘Parliamentary Support Group’ to be disbanded. “Senator Ovie Omo Agege’s statement requires much more than an apology, there must be discipline, he must bear the consequences of his actions. The primary purposeful the insertion of the parliamentary support group was because of unstable political structure in Nigeria.”- Senator Bala Na’allah. 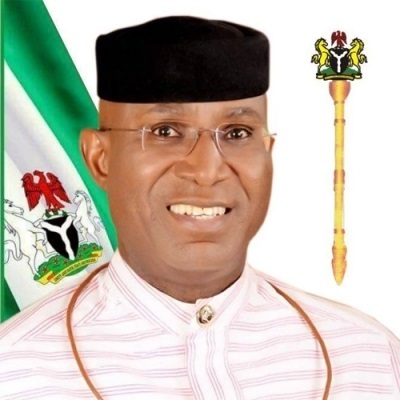 “Senator Ovie Omo Agege should withdraw his case from the court. Senator @OvieOmoAgege has constitutional rights to express his views as he sees fit. I also recognize Senator Ovie Omo Agege’s apology as a very courageous act. The parliamentary support groups are unethical and should not stand.” - Senator Kabir Marafa. “I appeal to Senator Dino who took the matter to the Committee and all others who felt slighted to stand down the matter. I urge the Senate to accept apology made by Senator Ovie Omo Agege for offensive statement against Mr. President and warn him to desist from such actions next time without 181 days suspension.”- Senator Ahmad Lawan.